Japan’s culture, history and stunning natural beauty make it one of the most popular tourist destinations on the planet. With so much to do, it is often difficult to fit everything you’d like to do in your itinerary, and you leave without experiencing the iconic Japanese attractions you dreamed of seeing. There’s good news, however: this itinerary has been especially designed so that you get to experience what everyone should when visiting Japan. The hard work’s been done, and all you have to do now is buy your airfares, sit back, and enjoy yourself. Ganbatte! On April 1st, you’ll arrive at Narita International Airport, Tokyo. Tokyo showcases Japan’s modernity and luxury – a city that will excite all your senses with its stunning views and bright lights, its bustling city sounds, and foods with tastes and smells that will leave you in a state of wondrous amazement. There are a million things to do in Tokyo, something for every type of person. Visit Tokyo Tower, go shopping in Ginza, and visit as many restaurants, clubs and bars as you can possibly manage. Enjoy the contemporary Japan in whatever way pleases you. Before travelling south, you should travel north to experience the seasons, whether summer or winter, have uniquely different things on offer. Experience the exhilarating skiing experience in winter or water rafting in summer. The resort offers a multitude of things for young and old to do such as golfing, bathing in hot springs and appreciating nature. If you haven’t encountered cherry blossom viewing festivals, or hanami,on the way to Matsumoto, then you can stop at this city and spend a day under the sakura trees that rain pink blossoms with the slightest breeze. During this time, the cherry blossoms should be in full bloom, and you’ll be able to appreciate them at their most beautiful. 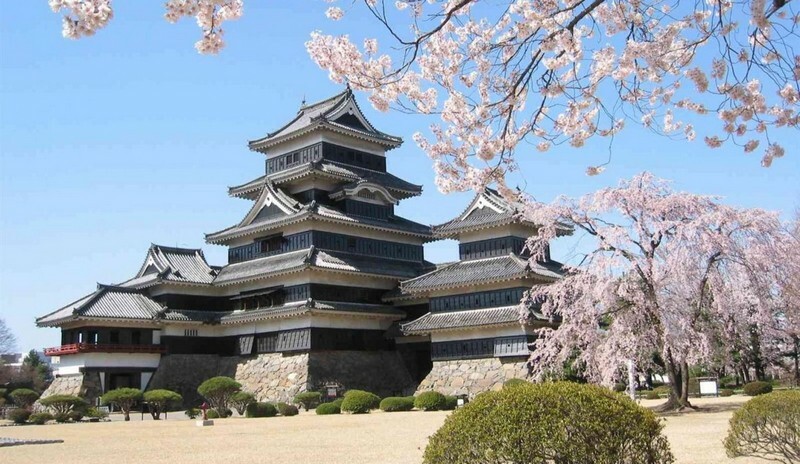 Also, make sure to stop by Matsumoto Castle, a 400 year old fortress that is open to the public and showcases an array of ancient weapons. Travelling south towards Kyoto, your final destination, you’ll encounter the ancient town of Takayama. You’ll arrive just in time to witness the Takayama Matsuri, one of the three most beautiful festivals in Japan. From morning to evening, beautifully ornate traditional floats are paraded throughout the town. The evening festival is the highlight however, and hundreds of thousands of people gather to celebrate. The onsen (hot springs) of Gero are a must on any Japanese tour. These hot spring baths will melt your troubles away and any stress, worries or weariness that the trip or life has burdened you with will quickly dissipate in these heavenly waters. Spend a day to relax and enjoy another of Japan’s iconic natural wonders. Kyoto gives unique insight into Japan’s history and culture. This ancient city is a window to the prestige and wonder of medieval Japan. Once the capital of a great empire, the castles, museums, towers and shrines this city proudly displays are monuments to an old but not forgotten civilization. The UNESCO World Heritage Site of Kyoto is superbly breathtaking and no trip to Japan would be complete without visiting this ancient city. On the journey from Tokyo to Kyoto, you’ll experience the Japanese urban and rural lifestyles. The cultural wealth and natural serenity of this country makes it popular with many tourists. If you can fit in a visit to Mt Fuji, then you can add majesty to the already extensive descriptive words used to describe your memorable trip. Adrian Rodriguez is a freelance writer and university student who is obsessed with the Japanese culture and natural vistas. His Niseko holiday has been his most memorable yet.